Why rent a car in Buzau with EuroCars.ro? Our car rental booking system provide you everything you need to get your best rental car in Buzau: simply use our filters to refine your search to select the car hire locations and period. On the search results page tell us exactly what you’re looking for, the desired class, luxury etc, brand, gearbox, etc before making your decision. 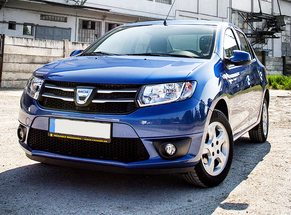 EuroCars make the process of renting a car in Buzau a easy rental experience. 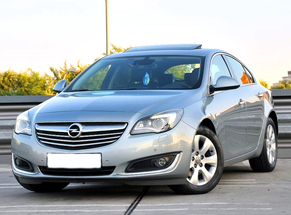 EuroCars offer a wide range car rental vehicles in Buzau from economy to luxury cars. In the same time we work hard to get you the best choice on cheap economy, medium, full size, luxury, wagon, SUV and Van vehicles. When renting a car there are many factors that works to decide you on what size car rental to rent. 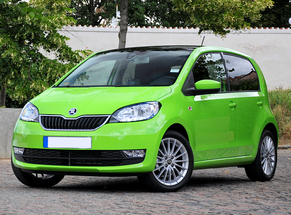 In order to help you we provide a short overview for each car rental class. Let a professional driver to take you around, whether you are in Buzau, Romania for your holiday or your business trip, browse through our website to view our car rental offers with driver and get in touch with EuroCars to hire a car in Buzau. Apart from regular rent a car services, we can also offer our clients several services that will allow them to enjoy the scenery or rest in a comfortable atmosphere. One of them is the airport transfer from Buzau Airport and it is meant to help you get from the airport to the hotel you are staying or to a city/ town outside of Buzau. You can choose to do just one way or a round trip. All for your convenience. For small or large groups of passengers, EuroCars has thought of a way to help its clients get around the country at their leisure. We provide the best deals to rent a minibus in Buzau for airport transfers (one way or round trip), intercity transfers (one way or round trip) or for tours with a fixed schedule. Rent a van in Buzau to tour the country with multiple passengers. Whether you need room for extra luggage, renting a van/bus in Buzau is a great choice. Check daily the lowest rates for car rental offers with chauffeur, van or any type of transportation to find the best deal. Why renting a car in Buzau with EuroCars Romania? EuroCars has earned a reputation with 16-year car rental experience in Romania, and is one of the most trusted car rental companies in Romania. We pride ourselves on having formed a customer-oriented team. 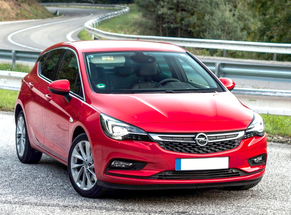 EuroCars is more than just a comparison site, we work with the most trusted rental car suppliers in Buzau allowing us to provide quality car hire services to our customers. You'll be able to choose the vehicle which will work best for your budget and itinerary. Use our Search tool for cheap and luxury rental cars in Buzau and rent a car that suits you best. Find out which car rental companies in Buzau have provided the best customer experience based on review ratings. You can see the ratings and comments of the former clients next to each rental company listed. How old do you need to be to rent a car in Buzau? The minimum age to rent a car in Buzau must be at least 21 years old. Check your car rental provider if you are under the age of 25. Drivers must hold a valid national or international driver's license issued at least one year ago. The license should match the class of the rental car. How much does it cost car rental in Buzau? On average a rental car in Buzau costs 25 Euro per day. Average daily price per day is different depending on the month of the year. Car hire companies operate in a similar way to airlines, meaning you’ve got to book online early, for the cheapest car hire Buzau deals. Renting in February ­compared with August can bring down the average one-week rental by 100 Euro. If you are yet to book this summer’s trip don’t hang around if you are going to a popular destination in Romania. Can I have an additional driver when I rent a car in Buzau? Will you be the only driver? Thinking of sharing the driving? EuroCars offers car rental deals in Buzau that allow you to sign on an additional driver at no extra cost. Some of our car rental partners are offering you an opportunity to add more drivers on your rental contract for free! Some firms add a second driver for a charge €5-€6 a day. The best location to hire a car in Buzau is downtown or at the airport? When booking your car hire, you have to consider your pick-up location in Buzau. Check out the price comparison of our car hire booking engine and you’ll get the best deal from downtown and airports so you can see the best value pick-up location. 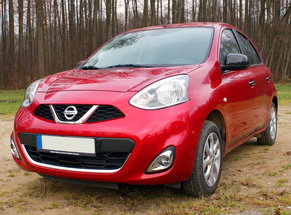 Renting a car is such a common part of the travel experience which is true for Romania too. Skip public transportation and book a rental car in Buzau with EuroCars and enjoy the best local attractions across Romania and visit the surrounding countryside. Buzau is a great starting city for a road trip in Romania.